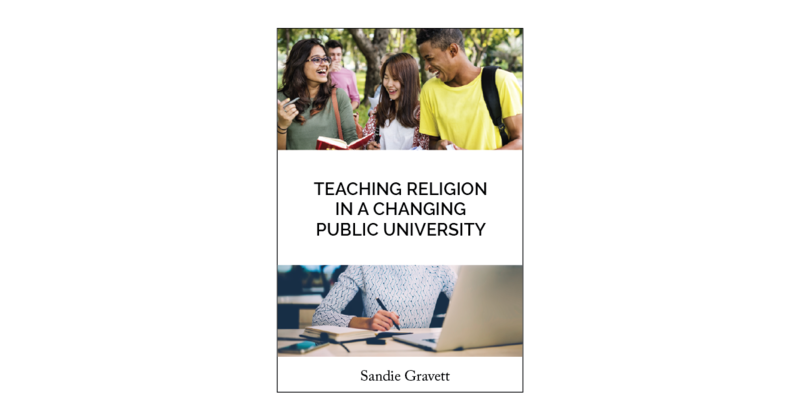 The ATLA Press’s open monograph program is excited to announce the publication of a new book by Dr. Sandie Gravett, Professor of Religious Studies at Appalachian State University. Teaching Religion in a Changing Public University provides a much-needed overview of the teaching of religious studies in public universities, with a clear delineation of challenges and opportunities for the future. This new volume provides insights that are important for both faculty and librarians. Her analysis of the history of the field provides a good framework for understanding how we got to where we are now and what the future might hold. Theological librarians, in particular, will find it helpful in terms of understanding the shape of library collections, at not only public and private universities, but also seminaries and small colleges. The why and how of teaching religion at these universities directly affects faculty expectations for libraries at all religiously affiliated institutions, even if in response to perceived failings of the larger institutions. From this understanding, she provides a succinct and insightful analysis of the types of courses taught in religious studies programs and how these fare (or not) in new modalities impacted by technological change and digital learning. Dr. Gravett’s discussion of the challenges of an increasingly multicultural environment, with its religious pluralism, and the possible roles of religious studies scholars and programs, orient the reader toward present complexities and the potential of religious studies to not only survive but add increasing impact in the future. Because these challenges for faculty are paralleled in the work of librarians in supporting shifting emphases in curricula and in a changing student body, ATLA members would do well to read this volume. Read the new book on open access as a PDF and EPUB. It is also available as Print on Demand. For other open access titles available from ATLA Press as well as current calls for chapters and other announcements, please visit http://books.atla.com.